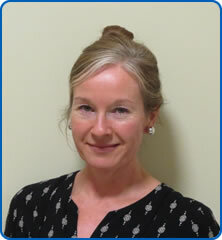 Dr Emma Clark is active across all adult general rheumatology services. Dr Clark has a particular clinical interest in osteoporosis and hypermobility. She runs a dedicated osteoporosis/metabolic bone disease clinic. She leads on the vertebral fracture assessment (VFA) component of the DXA service. She is also an active researcher through her post as Consultant Senior Lecturer, School of Clinical Sciences, University of Bristol.